Here is a beautiful winter themed polymer clay project using textures and alcohol inks. In the tutorial I show you how to create your own texture stamps, so that you’ll be able to make your own unique stamps for your project. This project is easy and versatile. You can change it from being a winter themed project to any season you want just by changing the colors. 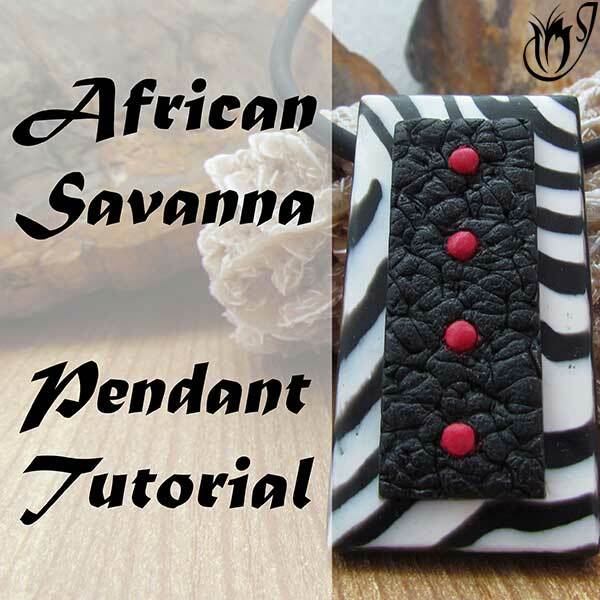 I use resin and liquid clay in this tutorial to add a level of depth to the piece that looks stunning. I highly recommend using them, but you can create beautiful pieces without them too. Please note: If you don't want to make your own stamp, the one I show in the tutorial is available on my shop JessamaDesign. First you’ll need a piece of leftover clay rolled out on the thickest setting on your pasta machine and some leaves with prominent veins. 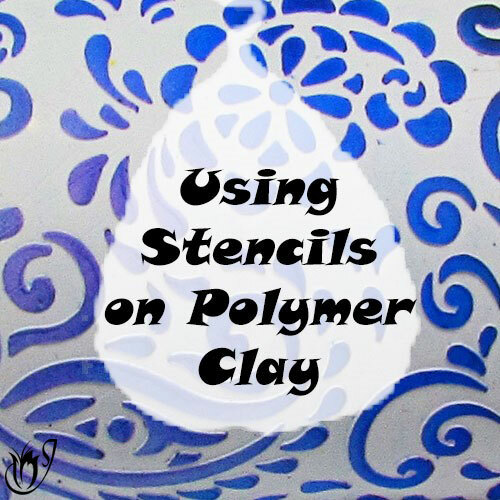 Dust your clay with cornstarch. Press one of these leaves into your leftover polymer clay. Cover with paper and burnish with your acrylic roller to make sure you get a clear impression of the leaf. If your impression isn’t very deep you’ll need to carve out your texture using a piercing pin. Simply trace out the lines left by the imprint the leaf made. 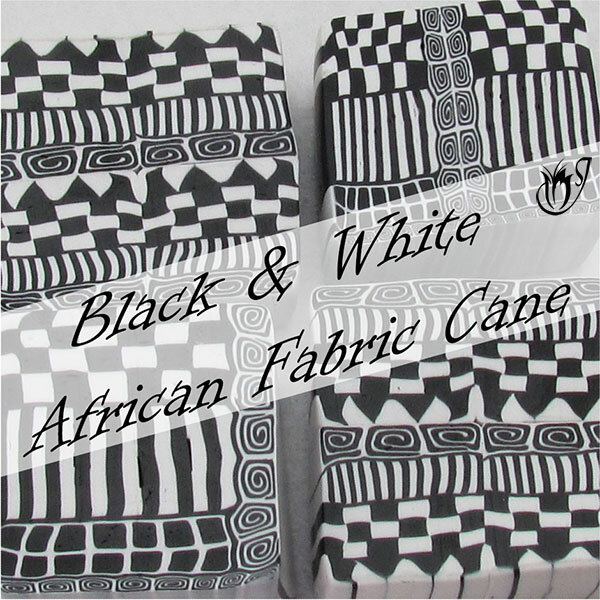 Once done carving, gently stretch the clay to widen the lines you’ve carved. Cut your stamps to size and bake for a full hour at your brand's recommended temperature. Once baked, dust the stamp with cornstarch and press in some more leftover clay to create a reverse stamp. Bake this for an hour and this is the stamp we’ll use. To start your Winter Frost project you’ll need some pearl white clay run out on your thickest setting. Dust the pearl white and stamp with cornstarch and press the clay into the stamp. Lift the clay from the stamp. Cut out your pendants using your chosen cutters. I will be using my rounded dagger cutters from JessamaDesign. You might need to restamp a few times to get enough pendants. I cut out five. Now take your ink pad and dab each of your alcohol ink colors onto it in dots. Then dab the ink pad onto your clay. Be gentle. You don’t want to get ink into your texture. You just want to outline the texture. Gently heat gun the top of your pendant to bake the top. This will set the ink. You can bake the piece for 5 minutes in the oven if you don’t have a heat gun. Ink again after the baking. Set again for 5 minutes in the oven or set with the heat gun. The next part is optional, but adds a lot of depth. 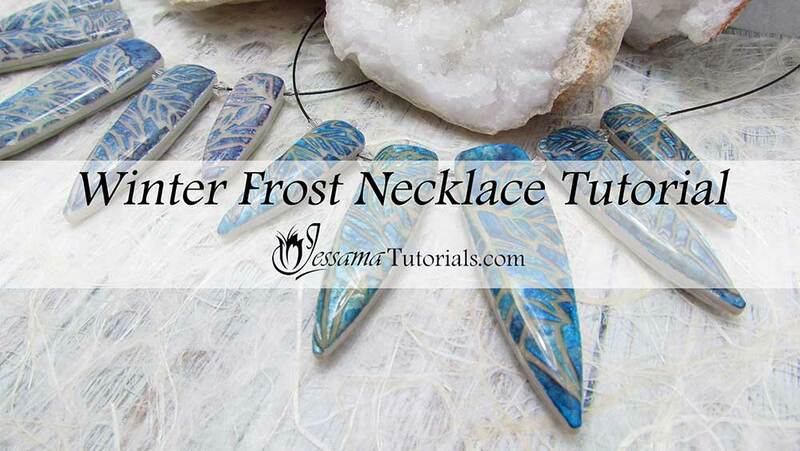 Take some translucent liquid clay and apply a very thin layer over the top of the pendants. Bake the pieces for a half hour in the oven at your brands recommended temperate. If you have a heat gun, set the liquid clay before putting the piece in the oven. Repeat the process for all your pendants. Take a sheet of pearl white and cut out the shape of each of your pendants. Smooth this pearl white against the back of your pendants. Trim around the sides and texture. Smooth the edges and place in the oven for another half an hour. Once baked you can drill your pieces with a pin drill. Sand the backs and sides of the pendants to a high shine. String your pendants onto your accu-flex with your chosen beads and attach your findings and clasp. And that's the Winter Frost polymer clay project. Play around with this technique. 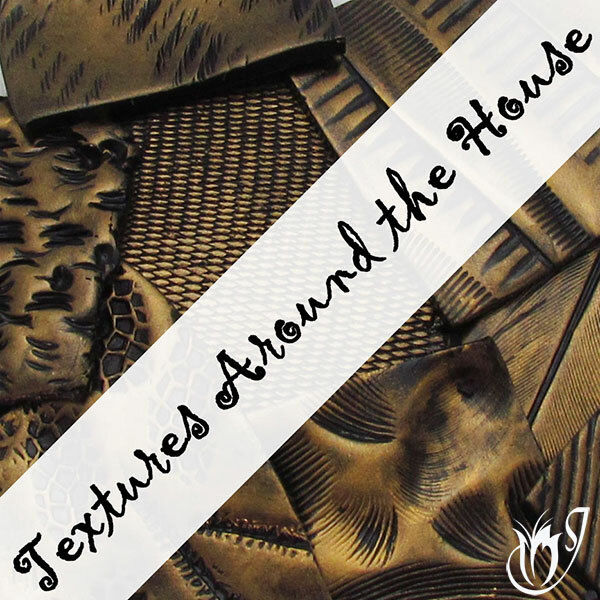 You can use other textures and colors to achieve a completely different result.